Compact and portable for easy transportation. 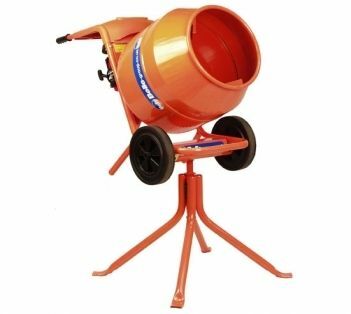 Mixes a full barrow load of concrete or mortar. Complete with barrow height swivel stand. Proven robust and durable design. Price per day, long term hire can be arranged please call for a quote.